NZDUSD is chiefly under the influence of Consumer Price Index report and a weaker dollar. 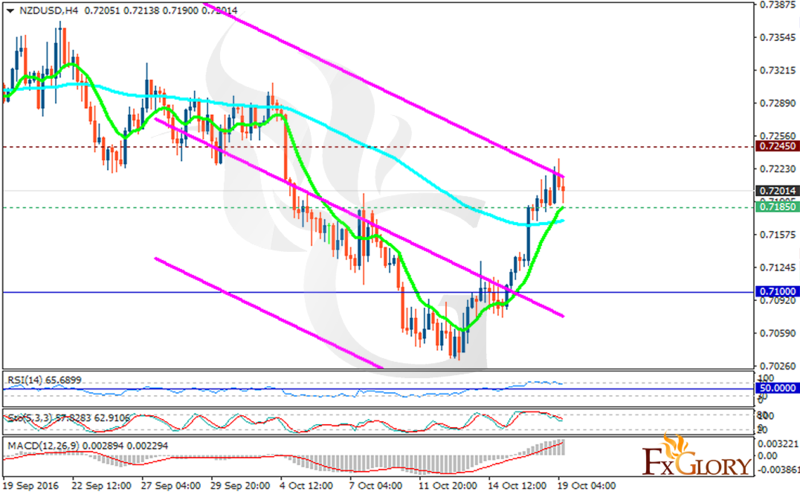 The support rests in 0.71850 with resistance at 0.72450 which both lines are above the weekly pivot point at 0.71000. The EMA of 10 is moving with bullish bias and it is located above the EMA of 100. The RSI is moving horizontally above the 50 level in the overbought area, the MACD indicator is in positive territory and the Stochastic is showing downward momentum. Buyers can target 0.7250 for this pair at the moment.